Jacqueline Soule here today to discuss an herb you can plant in your cool season Southwest garden any time in the next few weeks – fennel. Some varieties of fennel form tasty “bulbs” that can be eaten raw or cooked. Fennel has a long history of use, and why not? The entire fennel plant is useful! 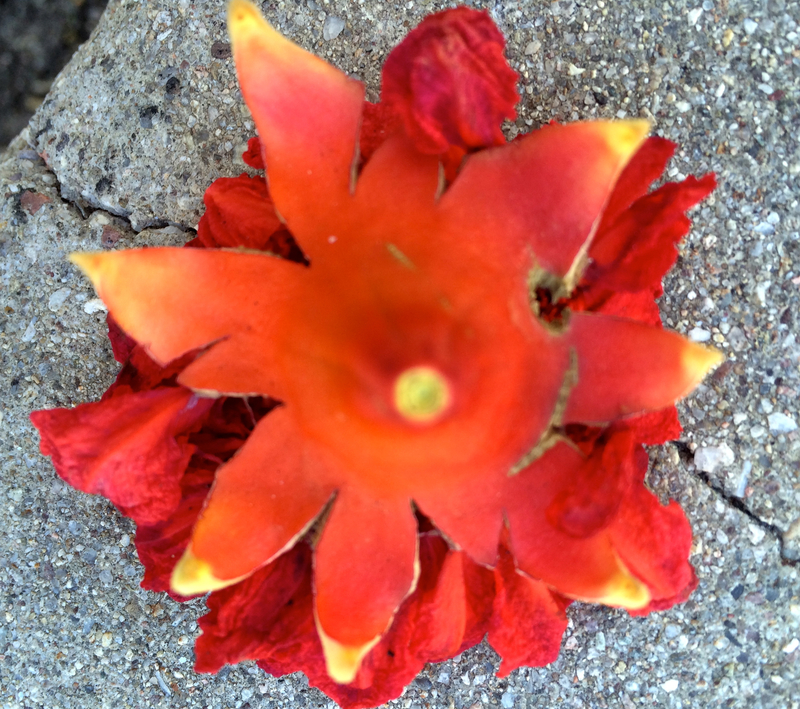 Leaves, roots, stems, flowers, and seed are all edible. As a spice, the seed is used in beef dishes, sausage, or in breads and cakes, depending on nationality. Leaves, stems, and flowers can be eaten raw, steamed, or added to soups and stews. Father Kino brought seed to our area over 325 years ago. He no doubt ate fennel as a boy, the seeds in sausage and the bulbs as a vegetable. Father Kino blessing food. Art by Jose Cirilo Rios Ramos. Fennel (Foeniculum vulgare) is so well-liked that there are a number of cultivars. First are varieties with an inflated leaf base which form a bulb-like structure popular as a vegetable, eaten either raw or cooked. This goes by the names: sweet fennel, Florence fennel, finocchio, and occasionally it is sold as “anise.” Another group of cultivars are grown for leaf and seed production and include the standard and bronze fennels. Note that “giant fennel” is a different species (Ferula communis) and is a large, coarse plant, with a pungent aroma, not feathery and fragrant like fennel. Leaves can be enjoyed well before bulbs are formed. Fennel is a tall herb, reaching four to six feet tall. Leaves can be over a foot long and are finely dissected into filiform (thread-like) segments a bare one-eighth inch wide. Foliage comes in a variety of hues, from the bronze fennels that may appear almost purple to sweet fennel in chartreuse green. Clusters of yellow flowers are attractive to pollinators. The Pimeria Alta was under Father Kino’s care. Like most herbs, fennel grows best in a well-drained, slightly acidic soil, rich in organic matter. It is also easy to grow in containers. Use a container at least one and a half feet deep. Potting soil with some added sand makes a good growing media. Fennel needs six or more hours of winter sun to do well. It is also important to choose a planting site that is protected from high winds because towards the end of the season (in March) the tall hollow stalks can be easily blown over. Sow seeds a quarter inch deep in rows around eighteen inches apart. When seedlings are two inches high, thin them to stand around a foot apart. Or they also look nice planted in a dense clump in a flower bed. Keep the soil evenly moist during seed or seedling establishment. Once well established, you can let fennel dry a little between waterings. Some people believe this makes the flavor stronger. Fennel should not require fertilizer. If you amended your soil at the start of the growing season, the plants should do fine. Plus, avoid fertilizing anything when frosts are a possibility. In late February you could apply a general purpose fertilizer at half strength. Fennel leaves are delicately flavored and can be harvested at any time. They taste quite refreshing in green salads or added to stir fry. I like to munch on them as I work in the garden. Harvest fennel bulbs once they reach softball size. They make a crisp raw snack and individual leaf bases can be delightful used as a healthy dipper instead of potato chips. This vegetable can also be sautéed, stewed, braised, grilled, or perhaps best of all – sliced and roasted with root crops such as potatoes, beets, and onion. The “bulb” has easily separated leaf bases that are perfect for scooping up dip. Harvest seed of fennel by cutting stalks and tipping the entire mass into a paper bag. Let dry for several weeks before cleaning and storage. Store such herbs in airtight containers out of direct sunlight. Hello, Amy here playing with the last of the summer fruits. My mom’s Black Mission Fig tree, planted by my grandfather so many years ago, yields two crops a year, early and late summer. 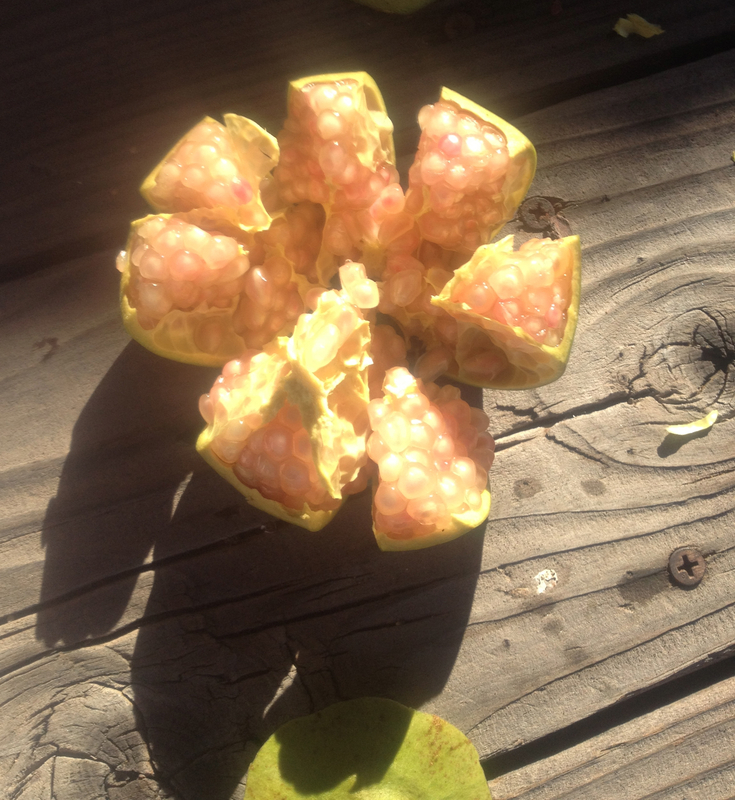 The flowers open and are self pollinated inside the developing fruit. This baby fig tree had its first two fruits this year. We mostly eat them fresh, the entire fruit with skin, seeds and all, leaving only the stem. They dry beautifully on screens outside, or in a hot car. I wanted to do something special with the figs, so I consulted Sweet Simplicity: Jaques Pépin’s Fruit Desserts. Broil the figs! I halved the fruit and decided that they were plenty sweet. If they weren’t, I would have sprinkled with sugar as suggested. After a few minutes under the broiler, they were even sweeter and the flavor concentrated, but still moist and easier to eat than dried. Jacques made a sauce with strained peach preserves, but I had a few tiny fresh peaches from higher elevation southern Arizona. I seeded and chopped the peaches, skins included. So much color, nutrition and fiber is in the skin. Plus I like varied textures. The peaches simmered with a tiny bit of water for a few minutes, until soft. I pureed the peaches and seasoned with a squeeze of lemon and a splash of rum. That worked! So when someone gave me a handful of little plums, I immediately consulted the same book to show off the little treasures. Preheat oven to 350 degrees F. Grease an 8×8 inch or similar size baking dish. Grind almonds in a food processor until powdered. Add the rest of dry ingredients and process. Add the wet ingredients and pulse into a batter. 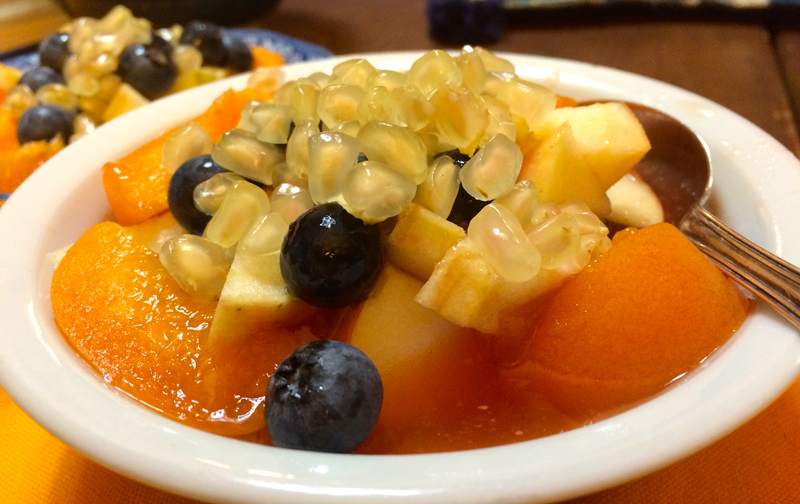 Spread batter into prepared dish and nestle in the whole fruit. Bake for 55 minutes or until the cake is browned. Mix the jam and liqueur and brush on top of the cake. Warn the eaters of the pits and enjoy! 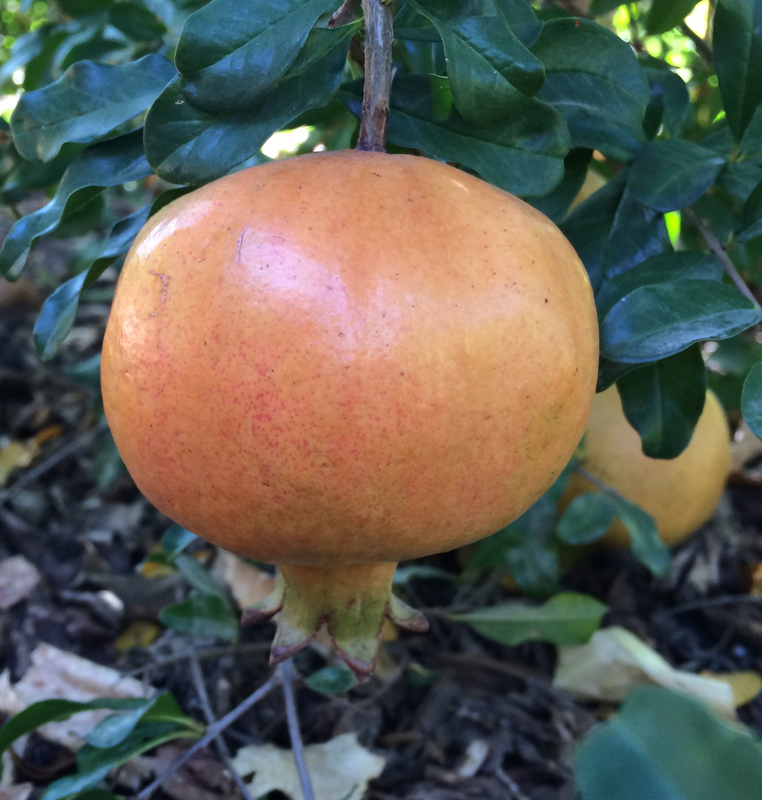 One of the first joys of pomegranates is esthetic, making pomegranate (particularly our local heirloom Sonoran White) a primo candidate for edible landscaping. Its rich green foliage is cooling to eyes and spirit. 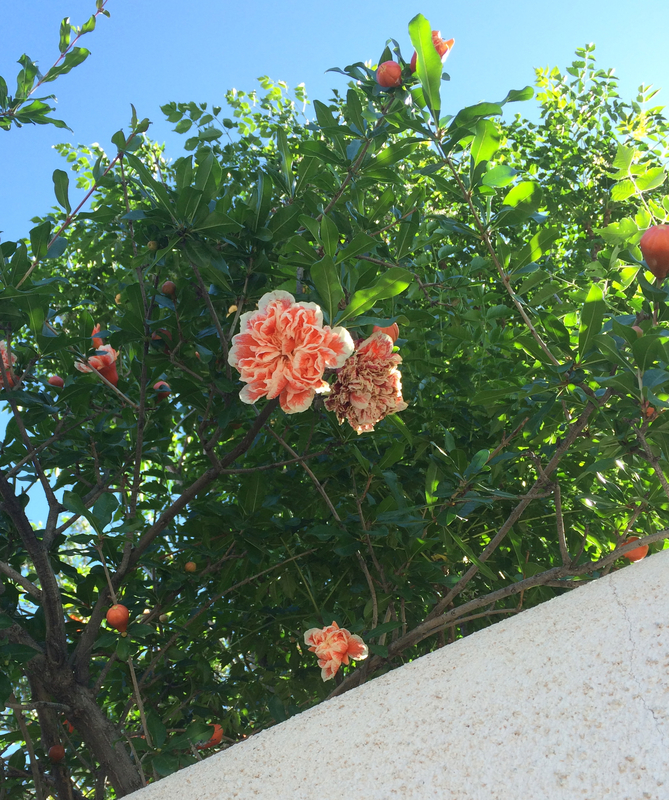 Its glorious, shiny red flowers decorate the trees all summer, followed by sensuous round beige fruits that become rosy as they ripen like Christmas ornaments hanging on the tree. 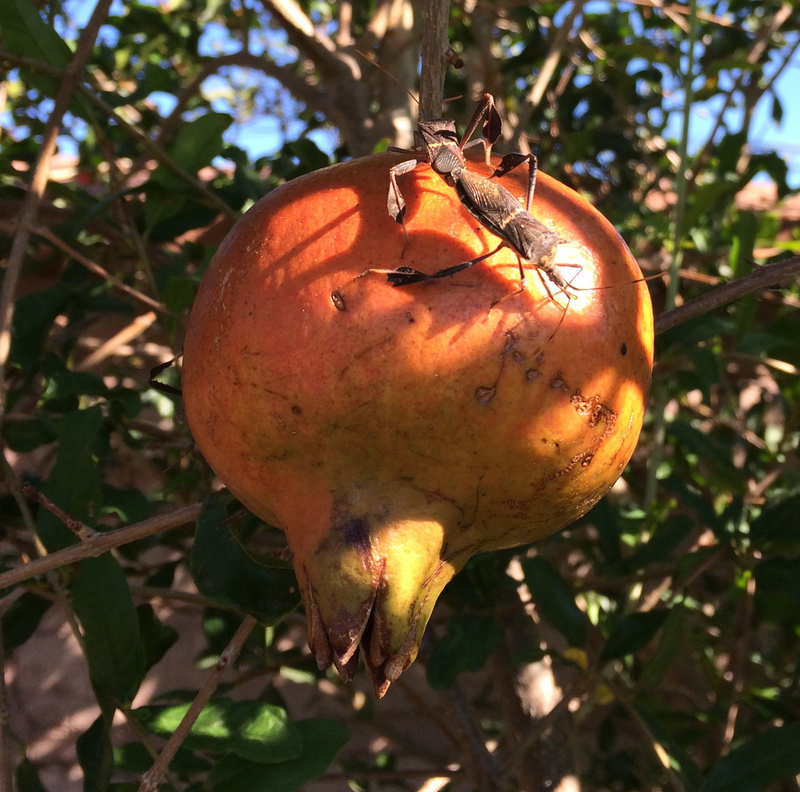 The structure of pomegranate fruits, with its separate juicy cells or arils, normally prevents insect damage from destroying an entire fruit. Just cut off the effected area and the remaining arils still will be perfect for eating. I always thought that pomme -grenade was named for the city of Granada, but actually it is the other way ’round. The Spanish city was re-named Granada when the Moors brought the fruit there from the MiddleEast and it made a big splash. Nutritionally pomegranate has sweet advantages, providing antioxidants, folate, vitamins C and K, plus manganese, phosphorus and potassium. 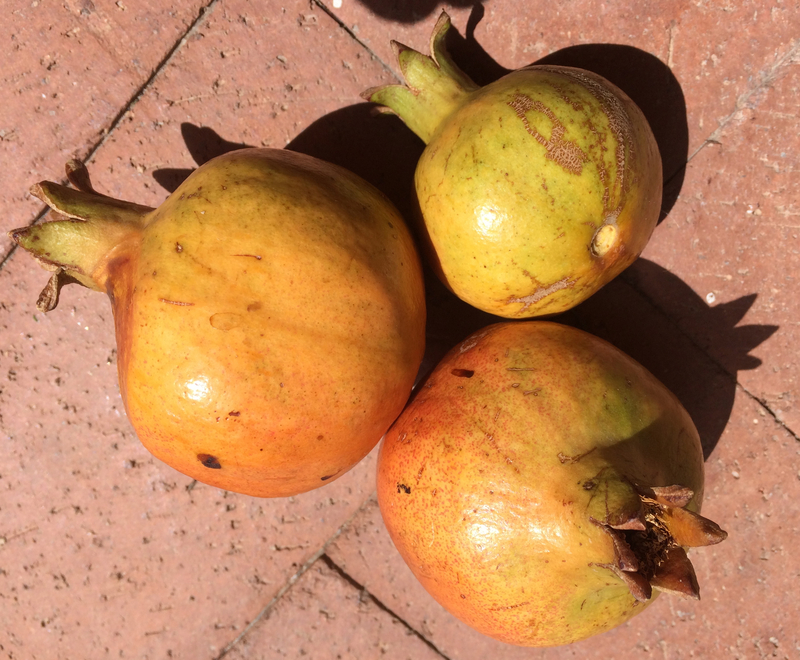 Sonoran White Pomegranate can be juiced to drink straight or add to other drinks. (Talk about a nutritious addition to margaritas!) The simplest, most delightful way of enjoying our clear Sonoran White seed-cells is simply snacking by the handful. 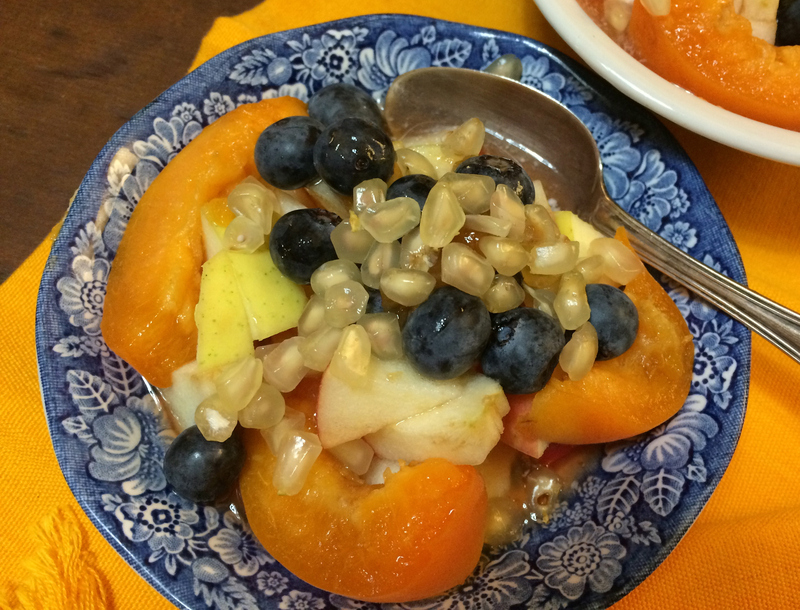 I make a luscious dessert with vanilla yogurt topped with slices of fresh apricot, local apple, and blueberries, and crowned by the sweet seed-cells of Sonoran White Pomegranate. 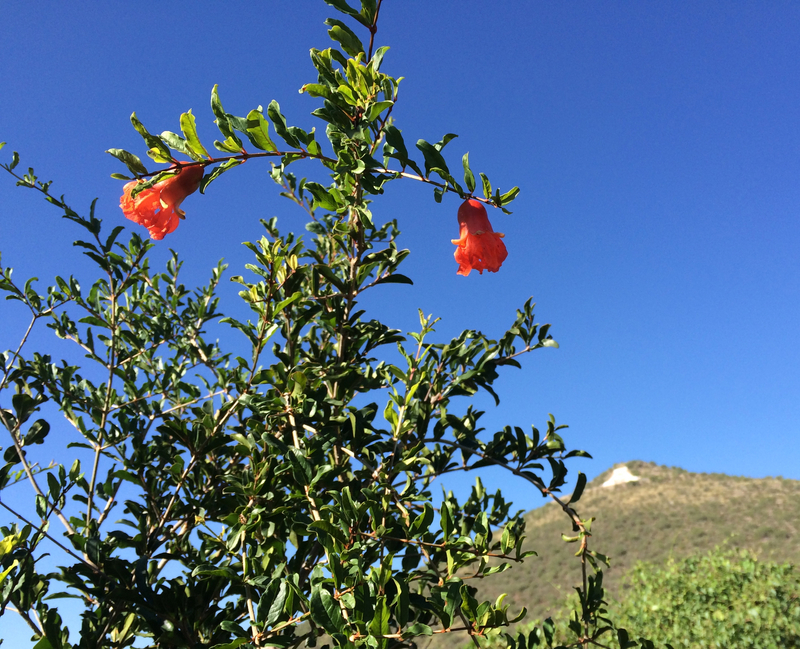 Rejoice in this ancient gift brought by the Missionaries to Baja Arizona–a desert survivor, well-adapted to carrying us into climate change in arid lands! 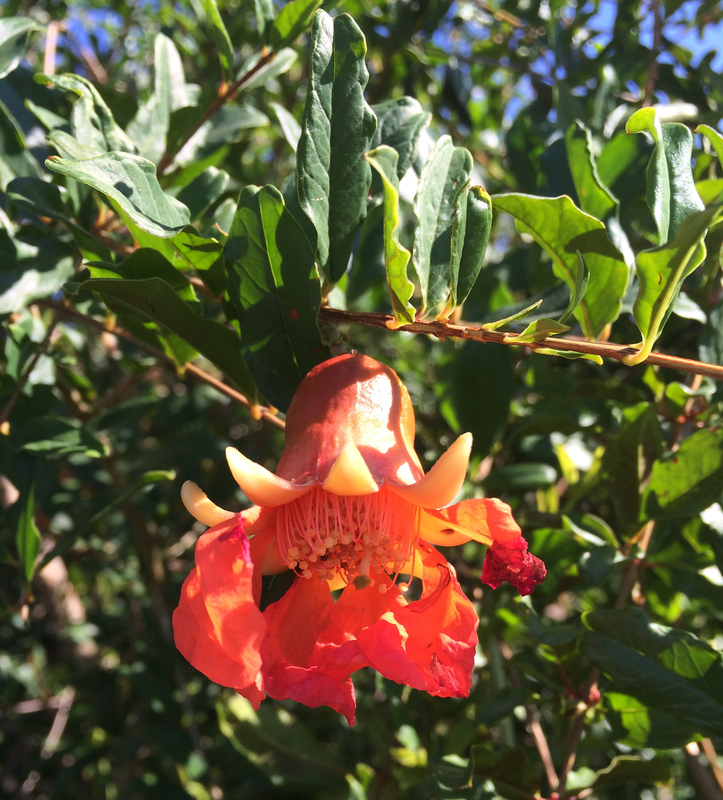 Friends of Tucson’s Birthplace will be sponsoring a Pomegranate event this month–September 24, 2016– at the Mission Garden. 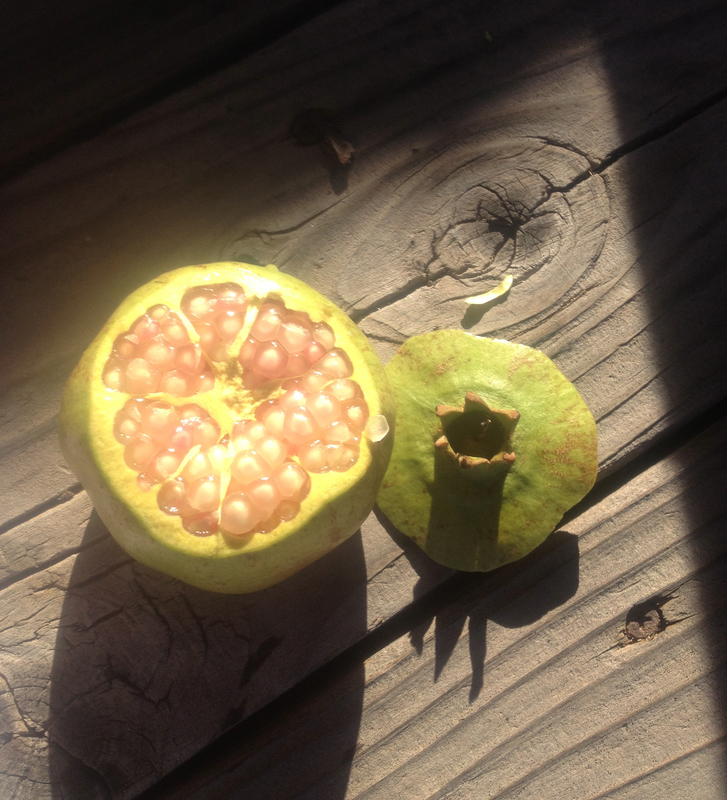 Come learn all about our local heirloom treasure, the Sonoran White Pomegranate, how to grow it in our own gardens, and how to prepare it in zillion delectable ways. For details call 520.777.9270 or email missiongarden.tucson@gmail.com (www.tucsonsbirthplace.org.) Let’s keep this living and giving food-heirloom alive and well in our gardens into the future! Linda here on this hot, humid day, wondering how on earth we arrived at September. This Salsa is Super Simple. And Powerful. Not only in the way it explodes onto your tongue, but also in how easy it is to digest. I find the two ingredient version of this easy on my stomach and not as “pesado” (heavy) as the salsa with more ingredients. But, having dabbled and experimented, I have returned to the very, stripped down, basic recipe. I adore it. Sometimes people add a bit of salt too – which up’s the ingredient count up to a staggering 3. This recipe was taught to me my a dear friend from Sonora, Mexico. It is the basic chiltepin salsa that you will find in nearly every household there. Warm a skillet. No oil. Put in a tablespoon (or more!) of chiltepin, move the chilies around and immediately turn off the heat. You are essential toasting the chiles. The aroma is intoxicating for the Lover of chiles. Be careful of your face, as sometimes these little chilies will “pop”. In a food processor blend the warm chiles with just boiled water. I used less than a cup of water. Note: Make sure to use a lid while you blend. And when you remove the lid, take care! I almost had my socks blown off me. Like a true explosion, the aroma alone can force you backward, away from the blender/food processor to catch your breath. I was warned about this, but didn’t take it seriously, because I am an arrogant chile eater with an over confident sense of my tolerance for this chiles’ “heat” and didn’t think that the oils in the chiles that wafted out of the blender would actually affect me. I mention this to you in case you too might need reminding to keep your senses about you as you wade into the world of this 9000 year old chile. And chiltepins “heat” works differently than domesticated chiles. The heat FLARES quickly on the tongue and inside of your cheeks, and then subsides. Most domesticated chiles’ heat seem to “work” in reverse. Place in a glass jar. This salsa has a thinner consistency than many salsas north of the border. Great on chips, quesadillas, eggs, beans, rice ……….. If you cant resist adding “more” to it, play around with the flavors/ingredients s of your choice and blend away until you create the flavor and consistency that speaks to you. The version in the photo above has Mexican oregano, fresh garlic, and roasted tomatoes in their pre-blended state. There really is no “right” way to do this – enjoy robust experimenting until you get the taste and texture that delight both tongue and spirit! (I roasted cherry tomatoes in a sauce pan like the chiles (no oil), but you could roast them in an oven, or, grill them over fire). Then add them to your basic chile salsa.